connie rose talked about harper lee and her sister in the comments of THIS post and it’s where i first heard the term, “journey proud”. it’s what i am right now in this moment as i clickety clack out these words to you on my little keyboard. journey proud. i put them in service to cover up french composition book on my cover. some of these gems are from the 19th century. i do marvel at how the cancellation marks have held up. i think of the day they were cancelled. was it snowing? were those old streets shiny with rain or slick with ice? was there a inky letter written on onion skin paper inside the envelope? or maybe a business correspondence? someone sent it and another someone received it. carefully they opened the envelope, read the contents. gave a laugh, or a cry, or a smile, or nothing and set it down on a kitchen table or a desk. i love imagining how it tumbled through time and found me. me! mary ann moss! living in los angeles. in 2016! i have stopped it’s forward motion. now that aged stamp lives on my travel journal. the travel journal that will soon cross a continent and wide ocean and many islands and eventually land…back in SWEDEN. it’s tiny stamp life entwined with mine. affixed to the cover of my diary as it were. on on on it goes, where it stops no one knows. i have begun Bus Map Contemplative Practice. i study maps. i could spend approximately an hour on a map of this size – 14 x 18″. One hour. following routes, refreshing my memory. riding the bus in stockholm is simply fantastic! my favorite seat is the very first solo seat opposite the driver. you have an unobstructed view plus you get to observe the drivers change shifts, converse with passengers, etc., i don’t talk to them, i’m just a quiet witness. there’s the city drifting by the window. it’s raining, but you’re safe and dry on the bus. last year’s pocket diary will come with – good notes in there i’ll need to refer to this year. this year’s book on the right. also the tiny moleskine from last year has 10-12 pages empty. i’ll fill them up with quick sketches. my neighborhood below is a short distance from last year’s first apartment. right by the katarina church. i’m thrilled to have found a sitter to stay here at moss cottage while i’m gone. someone who knows and loves the cat posse and will take good care. Wyatt’s back in his cone since rubbing his mouse ear a bit too vigorously. i can’t be worried while i’m away so an in-house sitter is the only solution. Oh, I love that painted map of Sweden!!! Could be painted right in my Sweden travel journal, all the important places are there! Have a great adventure! And in case you need more sketching inspiration, do you know http://www.ninajohansson.se/ ? have a fabulous trip… and i know you will! i’ll be here, painting with gouache; i’m quite obsessed thanks to you… i really cannot thank you *enough* for that. bon voyage, and thank you! I decided to bring my Sunday Supper dessert to the computer and catch up on your blog. Little did I know we would be sharing a piece of pie!!! Enjoyed your both of your videos and latest blog entry. I love your new travel sketchbook. My present sketchbook is a store bought spiral one. What to do with the ugly yellow cover. Tah Dah! How wonderfully simple….I get out my huge collection of postage stamps. Aren’t you clever. Now why didn’t I think of that. What a great way to save and showcase all of those stamps I love. Thank you Ms Moss. Glad to know you have a house/kitty sitter and that you’ll have peace of mind on your travel adventure. Thanks MaryAnn really enjoyed this post. I visited your video on the finished journals. I have a glassine enveloped filled with stamps that would look mighty nice on one my moleskine journals. Thank you for that idea. I love the fold-out pages, pockets, ledger pages, etc. and then knowing you will be journaling, drawing, pasting on top of that is exciting. I love it. You are so bravo to venture off on your escapades to far away lands… brave and lucky. Your description of sitting alone on a bus is enough to make me nervous. Instead I will sit in the quiet of my home, gouaching away, and looking forward to seeing and reading of your adventure. Safe travels… enjoy for those of us who have no Sweden’s in their world. Have so much fun! Be safe? Good idea to get a kitty caretaker while you are gone. I love maps, too. Oh, you just reminded me of riding all the bus lines from one end to the other with a map on my lap when I went to live in West Berlin in 1977. Nice warm buses, front row seat, just exploring and absorbing. A happy, if fuzzy, memory. Bon voyage (pretend I said that in Swedish)! In house cat sitters are the best. Unfortunately, mine moved out of the area. Must find another. I know that you’ll have a wonderful trip, especially with your sister. What one of you doesn’t think of to get into, I have faith that the other will make up the lapse. I know you will have a great trip. Wyatt will be fine as fur. The stitch/binding on the postage stamp book is very cool. Is this something you’ve created? Looks complicated. Thanks so much for taking us with you. Can’t wait for the journey to begin. Have a great trip to Sweden. I so enjoy being a bug on your shoulder as you do your travels. What a delight! 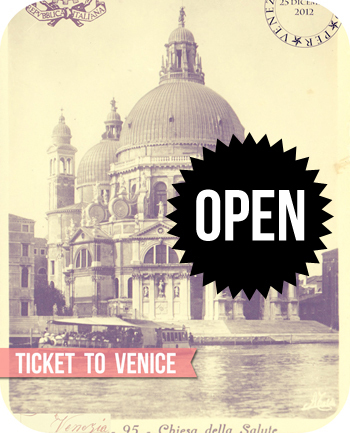 I am going to Italy in September, starting with 4 nights in Venice. What a beautifully written post! I too love wondering who has had my vintage items before I have. I also love maps. Found the bus maps in London baffling, but I think the Tube map is the best thing ever! Off to see your video! Really lovely post to read this morning with my coffee. I’m up here in my hidey hole in Idaho. Watching the squirrels, quails, and other birds and wildlife in my back yard while sitting outside in the cool mornings. Going to back to very very hot and humid Texas in a few days. Looking forward to traveling along with you and Carol on the Sweden trip. Oh, those postage stamps are so lovely, and imagining their travels is delightful. Love to Wyatt. I hope that you and your sister will have a wonderful and safe trip! I look forward to reading about your adventures! You have been a wonderful inspiration to so many of us!